Mehta, N.A. (2017). 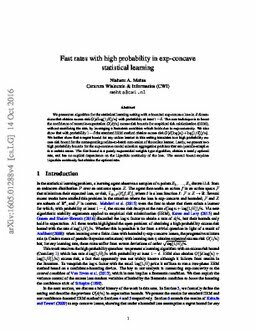 Fast rates with high probability in exp-concave statistical learning. In International Conference on AI & Statistics (pp. 1085–1093).